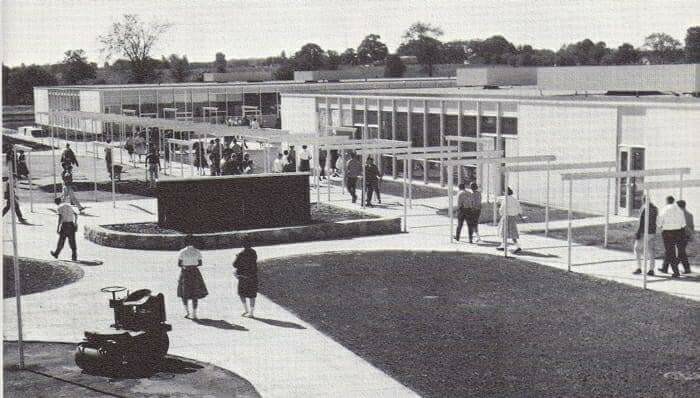 The "Old" High School from the Class of 1963 point of view. 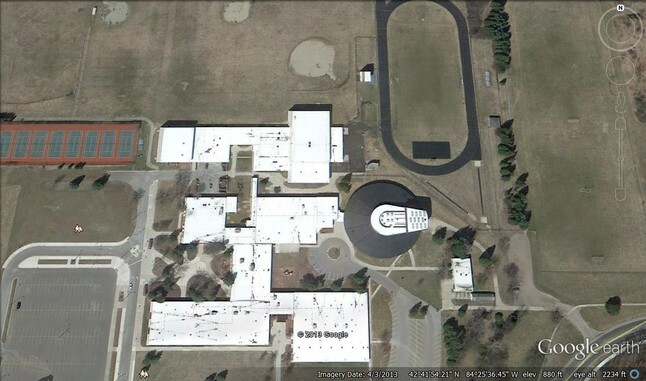 We were the second class to spend all 4 of our high school years in the new high school. Below is a copy of the Dedication Program. The theme was "FLEXIBILITY FOR INDIVIDUAL GROWTH". 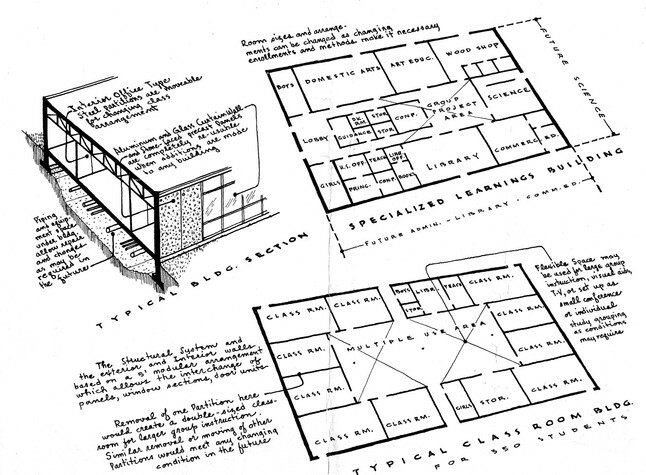 How did the school's flexible design contribute to your individual growth? 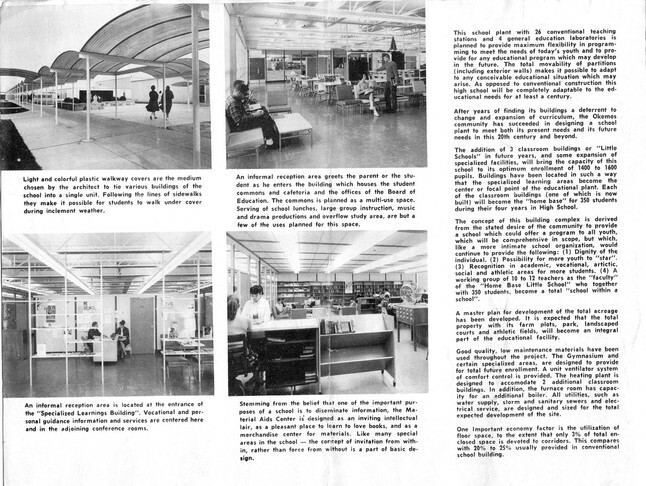 Below is the description given in the dedication program. Some interesting (controversial?) statements are highlighted. Click here to go to the coverage in the Meridian News. This school plant with 26 conventional teaching stations and 4 general education laboratories is planned to provide maximum flexibility in programming to meet the needs of today’s youth and to provide for any educational program which may develop in the future. The total movability of partitions (including exterior walls) makes it possible to adapt to any conceivable educational situation which may arise. As opposed to conventional construction this high school will be completely adaptable to the educational needs for at least a century. 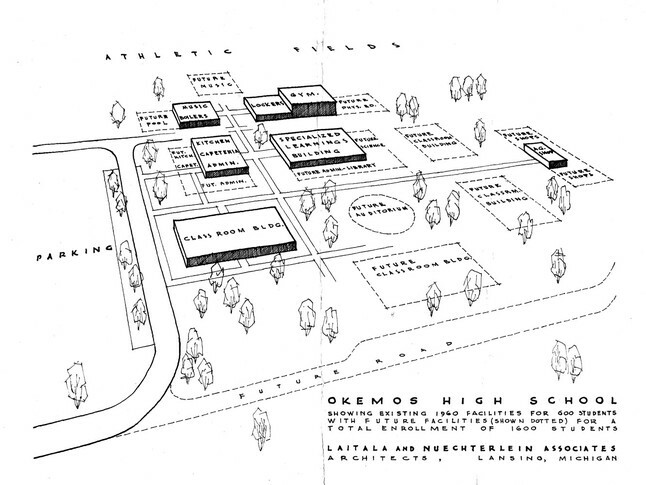 After years of finding its buildings a deterrent to change and expansion of curriculum, the Okemos community has succeeded in designing a school plant to meet both its present needs and its future needs in this 20th century and beyond. The addition of 3 classroom buildings or “Little Schools” in future years, and some expansion of specialized facilities, will bring the capacity of this school to its optimum enrollment of 1400 to 1600 pupils. Buildings have been located in such a way that the specialized learning areas become the center of focal point of the educational plant. 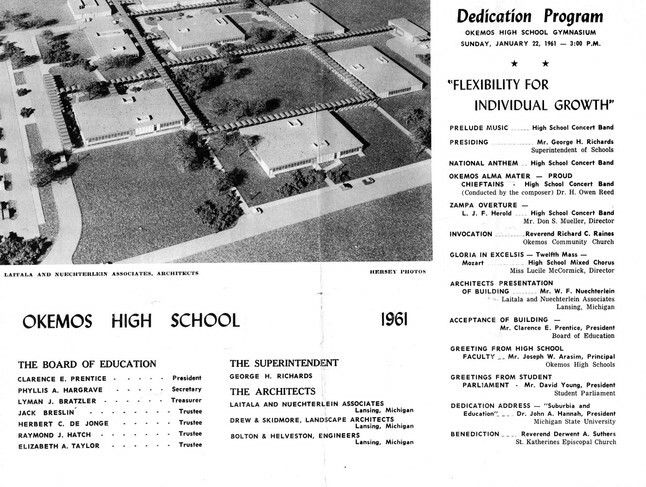 Each of the classroom buildings (one of which is now built) will become the “home base” for 350 students during their four years High School. 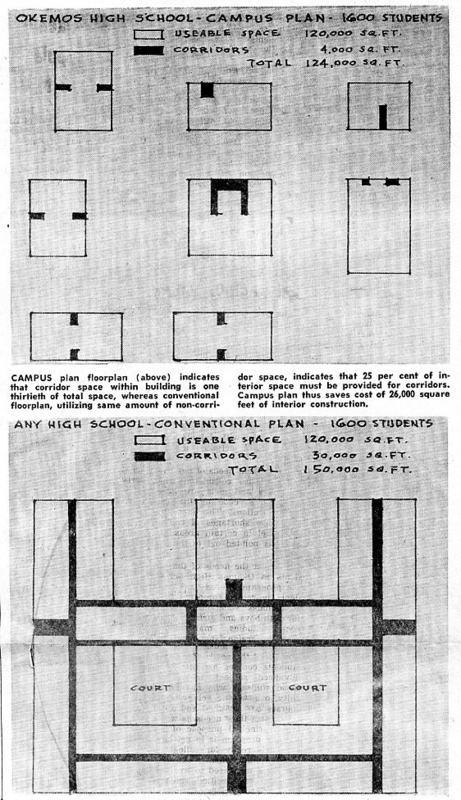 The concept of this building complex is derived from the stated desire of the community to provide a school which could offer a program to all youth, which will be comprehensive in scope, but which, like a more intimate school organization, would continue to provide the following: (1) Dignity of the individual. (2) Possibility for more youth to “star”. (3) Recognition in academic, vocational, artictic, social, and athletic areas for more students. (4) A working group of 10 to 12 teachers as the “facaulty” of the “Home Base Little School” who together with 350 students, become a total “school within a school”. A master plan for development of the total acreage has been developed. It is expected that the total property with its farm plots, park, landscaped courts and athletic fields, will become an integral part of the educational facility. Good quality, low maintenance materials have been used throughout the project. The Gymnasium and certain specialized areas are designed to provide for total future enrollment. A unit ventilator system of comfort control is provided. The heating plant is designed to accommodate 2 additional classroom buildings. In addition, the furnace room has capacity for an additional boiler. All utilities, such as water supply, storm and sanitary sewers and electrical service, are designed and sized for the total expected development of the site. One important economy factor is the utilization of floor space, to the extent that only 3% of total enclosed space is devoted to corridors. This compares with 20% to 25% usually provided in conventional school building.